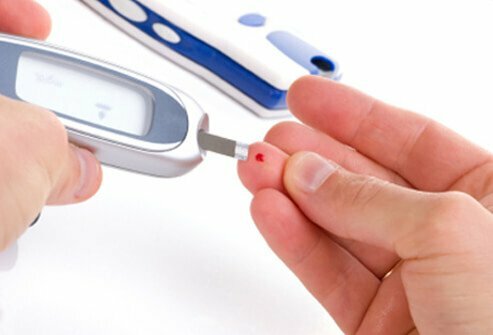 Chronically high blood sugar (glucose) levels can be associated with serious complications in people who have diabetes. The feet are especially at risk. Two conditions called diabetic neuropathy and peripheral vascular disease can damage the feet (and other areas of the body) in people who have diabetes. Chronically high sugar levels associated with uncontrolled diabetes can cause nerve damage that interferes with the ability to sense pain and temperature. This so-called "sensory diabetic neuropathy" increases the risk a person with diabetes will not notice problems with his or her feet. Nearly 10% of people with diabetes develop foot ulcers due to peripheral vascular disease and nerve damage. People with diabetes may not notice sores or cuts on the feet, which in turn can lead to an infection. Nerve damage can also affect the function of foot muscles, leading to improper alignment and injury. Diabetes is associated with poor circulation (blood flow). Inadequate blood flow increases the healing time for cuts and sores. Peripheral vascular disease refers to compromised blood flow in the arms and legs. Poor blood flow increases the risk that infections will not heal. This, in turn, increases the risk of ulcers and gangrene, which is tissue death that occurs in a localized area when there is an inadequate blood supply. What are common foot problems of people with diabetes? The following images show common foot problems that anyone can get; however, those with diabetes are at increased risk for serious complications associated with these conditions, including infection and even amputation. Fungal infection of the feet is called athlete's foot. Cracked skin, itching, and redness are associated with the condition. Fungus enters cracks in the skin causing an infection that must be treated with antifungal medications. Oral medications or topical creams may be used to treat athlete's foot. Thick, brittle, yellow-brown, or opaque nails are common with fungal nail infections. The infected area may crumble or seem to pull away from the rest of the nail. Fungus thrives in the warm, moist, dark environment created by wearing closed-toed shoes. Nail injury also increases the risk of fungal nail infection. These infections are difficult, but not impossible, to treat. Oral medications work best to treat fungal nail infections. Topical treatments are only effective for a few types of fungal nail infections. Sometimes, surgery is necessary to remove infected areas of the nail. Rub the area with pumice stone after a shower or bath. Ask your doctor the best way to do this. Place cushioned insoles or pads in shoes. Ask your doctor about prescription medication to soften calluses. It's normal to have some calluses. It's important to never try to cut a callus using a sharp object. Doing so can cause serious injury. Rub the area with a pumice stone after a shower or bath. Consult your doctor before doing this. Avoid over-the-counter corn removal treatments. Never try to cut the corn with a sharp object. Doing so can cause serious injury. 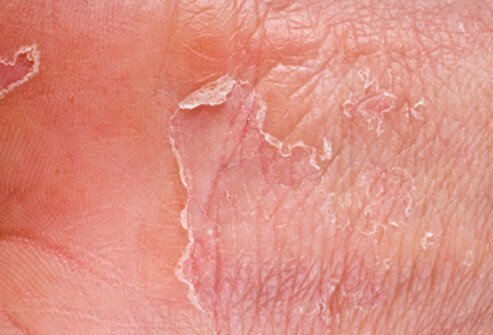 Blisters are raised, fluid-filled areas of skin that form due to friction. Popping a blister is not a good way to treat it since the skin covering the area helps guard against infection. To care for a blister, keep the area clean, apply antibacterial cream or ointment, and cover it with a bandage to reduce the risk of infection. A bunion is a sore, red, callused area that forms on the outside of the joint of the big toe. Bunions make the big toe angle inward. They may appear on both feet and tend to run in families. Wearing high-heeled shoes with inadequate toe room increases the risk of bunions by pushing the big toes into an unnatural position. Covering the bunion with padding or a foam cushion helps protect it. Special toe separators and other devices may be used to keep the toes in proper alignment. If the bunion is very painful or unsightly, surgery may be used to alleviate the symptoms. Dry, cracked skin allows bacteria and other germs to enter your body, potentially causing an infection. Moisturizing soaps, lotions, and other products can help keep the skin barrier soft, intact, and healthy. Foot ulcers are dangerous wounds that can affect people with diabetes. When a minor scrape, skin break, or sore on the foot becomes infected, a sore can result. In people who have diabetes, sores heal slowly or fail to heal. Early diagnosis and treatment are necessary to reduce the risk of complications. Your doctor is the best source of information on how to properly care for a foot sore. Weakened muscles in the toes contribute to the curled appearance known as "hammertoes." This weakness shortens the tendons in the toes, causing them to contract. Hammertoes can be hereditary. They can also be caused by wearing shoes that are too small and provide inadequate toe room. Hammertoes can cause foot problems such as calluses, sores, blisters, and difficulty walking. Corrective footwear and splints can help reposition and treat hammertoes. Sometimes surgery may be needed to straighten the affected toes. Ingrown toenails derive their name from growing into the skin along the edges of the nail. An ingrown toenail may cause pain, pressure, and even cut into the skin leading to an infection. Wearing tight or ill-fitting shoes increases the risk of ingrown toenails. High-impact activities such as running and aerobics may contribute to the problem. Walking, toe crowding, and inadequately trimmed toe nails may also cause ingrown toenails. The best way to prevent ingrown toenails is to keep the nails trimmed. Professional medical treatment is necessary if an ingrown toenail is severe or if there is an infection. Sometimes surgery is necessary to remove the affected part of the nail and the growth plate from which the nail grows. 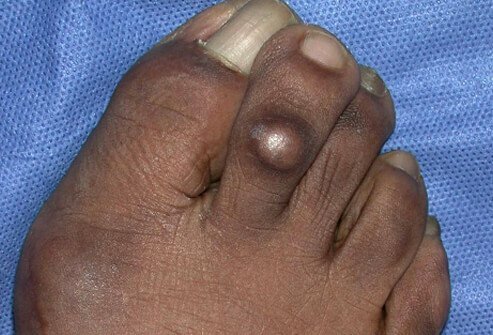 Thickened areas on the soles of the feet that have small black spots or pinholes are likely plantar warts. Plantar warts are caused by a virus. The affected patches of skin are painful and may occur alone or in clusters. It's a bad idea to use over-the-counter remedies to treat a wart. When in doubt, a doctor can determine if a lesion is a callus or a plantar wart. Taking good care of your feet can prevent problems before they start! Use the following tips to reduce your risk of common foot problems and serious complications associated with them. 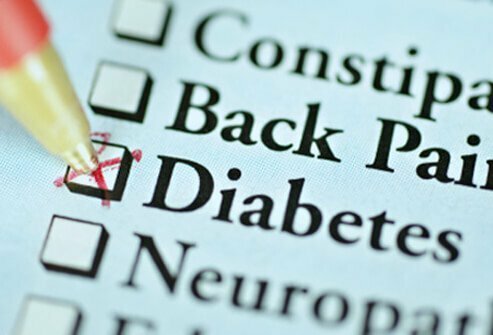 Living with diabetes requires you to pay special attention to your health and your condition. Follow your doctor's instructions regarding diet, exercise and medication. Keeping your blood sugar (glucose) levels within the recommended range is one of the best things you can do to control your condition and protect your feet. Carefully inspect your feet daily for redness, blisters, sores, calluses, and other signs of irritation. Daily foot checks are especially important if you have inadequate blood flow. Wash your feet daily with non-irritating soap and warm water. Dry your feet completely after bathing, paying special attention to the areas between the toes. Avoid applying lotion to the areas between the toes. Ask your doctor which lotion is best for your skin type and health condition. After bathing, use a pumice stone or emery board to smooth hardened areas of the feet that contain corns and calluses. Working in one direction is most effective. Consult your doctor on the proper way to use a pumice or emery board. Use the following toenail care tips to help prevent ingrown toenails. Once a week, examine your toenails. Trim toenails straight across using a nail clipper. Avoid rounding or trimming down the sides of toenails. Smooth rough nail edges with an emery board after clipping. Consult your doctor for the proper way to care for your toenails. Choose well-fitting socks and stockings that contain soft elastic. Wear socks to bed if your feet get chilly. Avoid sandals and walking barefoot, even at home. Choose shoes made of soft materials – such as leather or canvas – and take time to break them in. Protect your feet by always choosing slippers or closed-toed shoes. If you need roomier shoes due to bunions or other deformities, extra wide shoes are available online and in specialty stores. Take frequent breaks to flex and point your toes and circle your feet in both directions. Avoid crossing your legs, especially for long periods. Avoid smoking and if you do smoke, quit. 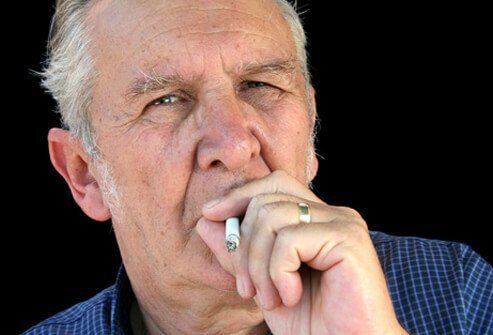 Smoking aggravates blood flow problems. Image reprinted with permission from Medscape Reference. American Academy of Orthopaedic Surgeons: "Bunions." American Academy of Orthopaedic Surgeons: "Ingrown Toenails." American College of Foot and Ankle Surgeons: Hammertoe." American Diabetes Association: "Foot Care." American Diabetes Association: "Foot Complications." American Podiatric Medical Association: Corns and Calluses." American Podiatric Medical Association: Warts." National Institute on Aging: "Foot Care."